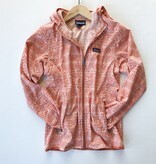 Patagonia's lightest packable hoody made from stretchy 100% recycled polyester with a DWR (durable water repellent) finish to shed light moisture, and it packs down into a tiny stow pocket. 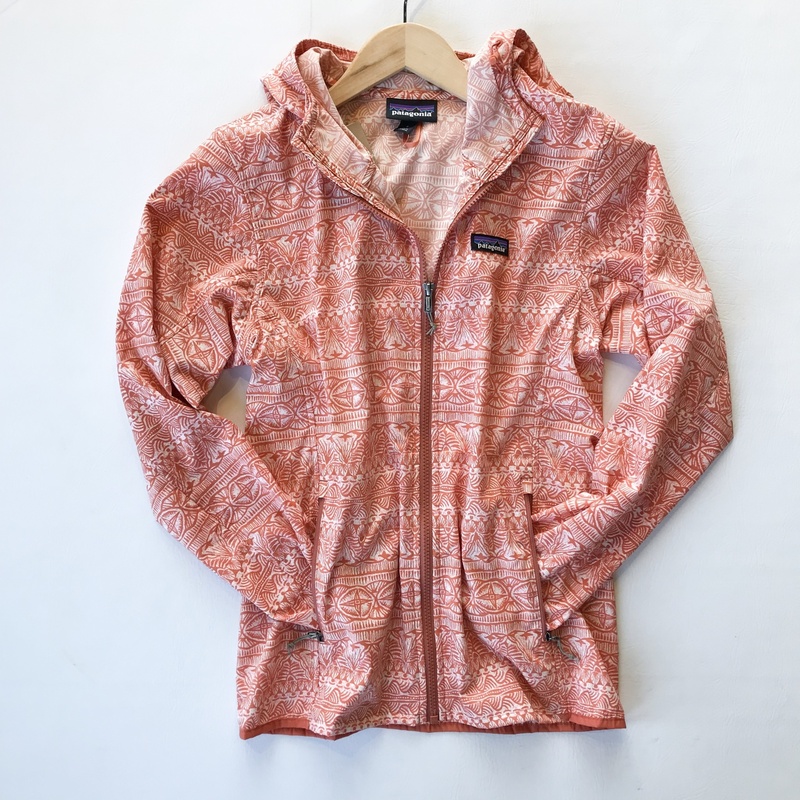 This 50+ UPF sun protection hoody packs into a small stow pocket and with a full-length zipper, effortlessly layers over tees, tanks or long-sleeves. An adjustable hood protects against the elements and two large zippered pockets keep stuff safe. Partially elasticized hem adds shape. Hip length. 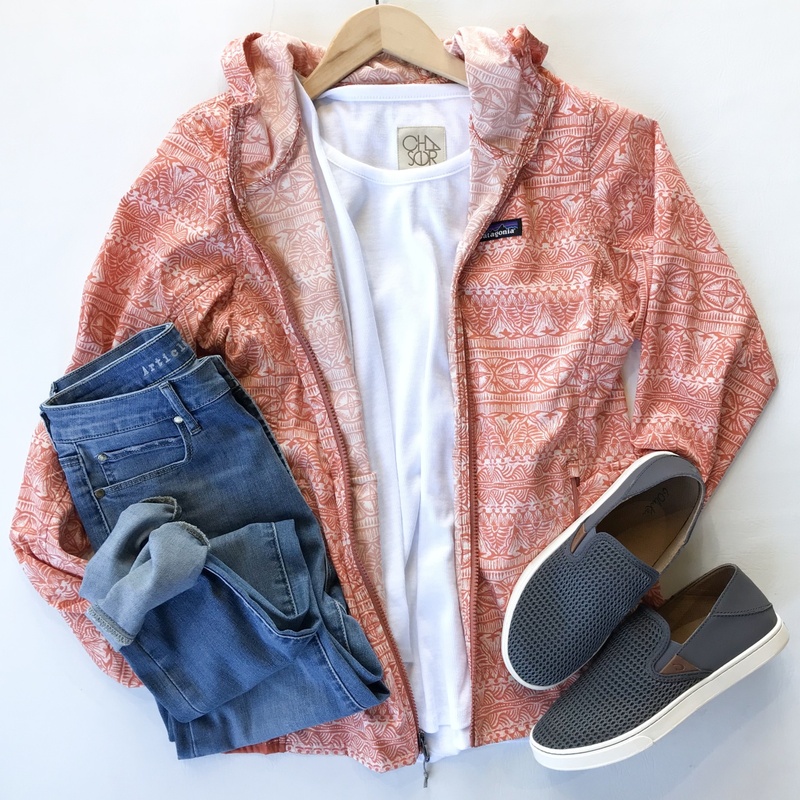 style for your weekend adventure, to run to the gym or to run errands with sneakers and your favorite new jeans.